Maybe our title is a little too simplified because actual bridge building is highly technical and requires heavy construction equipment. However, because we at U.S. Bridge have the experience, technology, and equipment, it can be a simple process for the client to embrace. 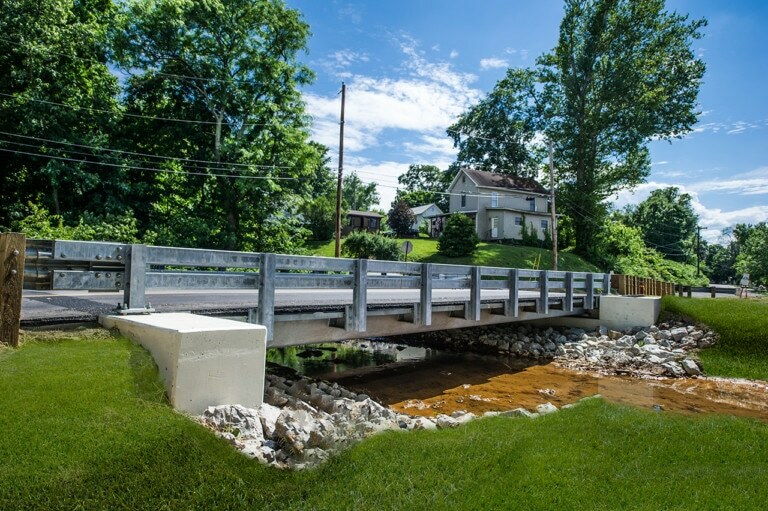 Our goal is to make the bridge building process a wonderful thing for every client. The reward for having gone through the process with us is an amazing bridge that perfectly meets the needs and purposes required. 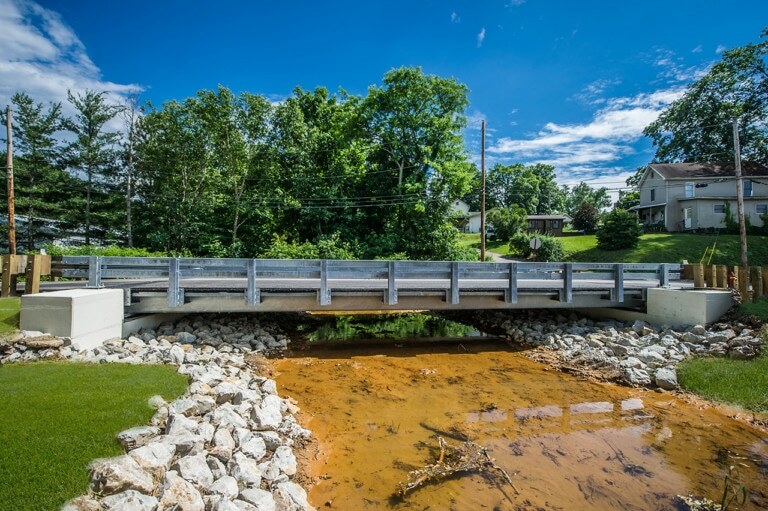 Whether the bridge to be built is for private use on an estate or for a busy municipal roadway, placement is the first consideration of the bridge building process. There is always a reason bridges need to be built, and that is to meet a need. It could be to allow access to an otherwise inaccessible location. It could be to drive traffic to a business district. Or it could be merely to enhance the architecture and aesthetics of an estate or company headquarters. Construction of the foundations is the first step toward building a bridge. This process involves detailed geotechnical investigations of the bridge site. The type of bridge foundation has to be selected, such as the well foundation, pile foundation, and the opened foundation. Each foundation is suitable for specific soil strata, and the desired bridge characteristics. The soil characteristics will determine the load bearing capacity, and other important parameters. For some, the design can be simple. If your farm co-op needs a bridge over a small creek to provide access to cattle, you probably will not opt for decorative lamps and painted arches. On the other hand, if your expanding business complex opens onto main street where potential clients have to pass to enter, decor enhances your brand. The obvious costs involved are the steel, concrete, rebar, labor, etc. But there are other costs that need to be factored in the equation. Our experienced experts know the costs involved, whether its material, legal, or human resource. We can give you a clear and accurate estimate before you make your decision to move forward. There are numerous options once you arrive at the actual construction stage for the bridge. If you followed the steps of the process, it is indeed “as simple as building blocks.” If you ever helped your child assemble a Legos kit, you get the point. This is why we call it a process. If everything is done correctly and in order, you will be rewarded with a bridge to be proud of. Even in this short article, it is obvious that building a bridge is a complex project. It can be expensive, and it can take time. Our team can save you time and money by guiding you through the entire project. Decades of experience have enabled us to make partnering with U.S. Bridge one of the best things you can do. Call us today and let’s get started on your bridge! (888) 872-7434. To download full infographic please click here.